Travelling can be exhausting when you have got nothing to be excited about. But there are many new ways to commute through your neighborhood than just using bicycles or other motor vehicles. A Hoverboard is not like your usual ride on a bicycle. But it is a lot easier to learn than you think. With technological advancements keeps coming at a faster rate than ever before, these hoverboards has the potential to replace your usual bicycle or motorcycles as a common medium. Since it is easy to learn, children are also eagerly waiting to get their hands on one of these as gifts on their birthdays or as Christmas presents. 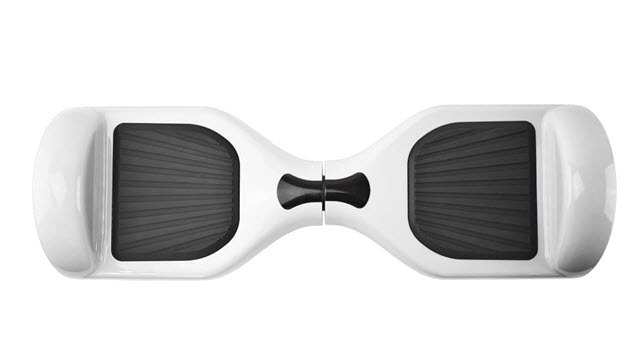 The attractive part about this hoverboard is its stylish looks and innovative design. You don’t need to spend hours trying to figure out how this thing works. You just hop on it and it will do the job for the most part. The flashy colours not only make you look cool but also make you feel unique on the road. The CHO 6.5 inch self balancing scooter might just be another hoverboard. But thanks to its colourful and innovative designs, it stands apart from other hoverboards. 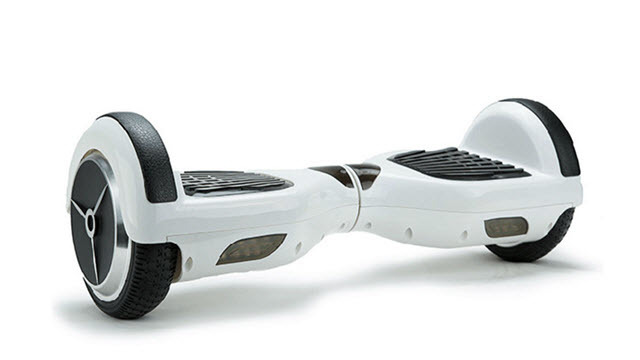 It possesses a charm and personality that other hoverboards don’t because of its design. CHO TM hoverboard is eco-friendly which uses the self-balancing technology to give a grip and balance to the user while driving it. It can work on most terrains as it has 6.5-inch grippy wheels. It also has a solid build with premium quality heavy metal and can withstand a decent amount of stress. It has LED lights on the front and also on the wheels, which can be very useful on the night. The CHO 6.5 inch self-balancing scooter can be intimidating to look at first because of its design and flashy LED lights. But it is very easy to learn. You don’t need the instruction manual to guide you. After one or two tries, it is easy to ride it. Since it uses self-balancing technology, you don’t need to take extra effort to maintain your balance as you do in most motorcycles and bicycles. It can be appealing to kids too and it is extremely safe for them to use it. It can go 10 Km/hr. at max speed. The max speed can be affected by factors like the load it carries and the terrain in which it moves. Its 6.5-inch wheel really shows its purpose on uneven terrain and you will definitely be pleased with the results. Though it might not give you a smooth and stable experience on every terrain, it does a decent job in not tripping you off on most terrains. The CHO hoverboard may not be the best of the best in terms of build quality, but it can easily withstand everyday use absolutely fine. It is also durable enough to be used for a long time. The self-balancing technology is put to great use as it provides the balance to keep you steady on the hoverboard while also maintaining its speed. The metal alloy used in it is not exceptional but it does its job and that is all that matters. With the Li-ion batteries in it, it gives you decent coverage at about 12 km at full charge. It’s not much when you compare it to other hoverboards but considering its price point, it is good enough. You can do some surfing in the neighborhood but it is not recommended for long distance travel. It is eco-friendly and has zero carbon emissions and you don’t have to worry about polluting the environment. The using temperature for this hoverboard is around -10C to 40C. Li-ion batteries have flammable electrolytes which can be a serious threat if it overheats. But those threats are not so common and are kept at minimal. The only huge deal breaker is the charge time as it takes unto 3-5 hours to reach max charge. 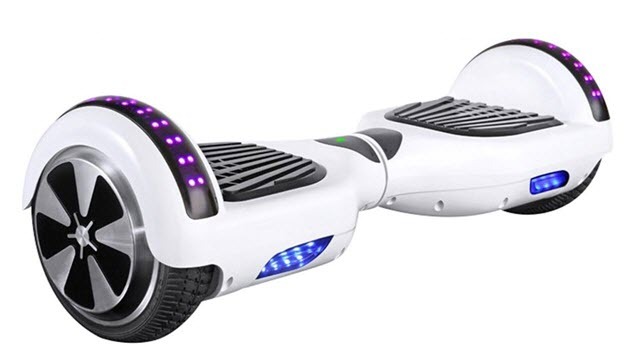 This hoverboard is UL2272 tested and certified as any other hoverboard. So it is safe and secure to ride, even for kids. The footpads offer great grip giving you better stability and traction when riding. The CHO 6.5 inch hoverboard comes with speakers which can be controlled with an app via Bluetooth. It is compatible with any device which has Bluetooth (laptops, mobile phones, PC). It works for the most part and provides some great sound while you are riding. It might even get loud at some point. So in terms of speakers, it doesn’t compromise. It also has flashy LED lights on the front and on the wheels too. It comes in different colors like chrome purple, chrome green, chrome black, chrome gold, chrome blue, and chrome pink. The CHO 6.5″ self balancing scooter is well built with self-balancing technology and grippier footpads to give you stability and make your travel safe and fun. It is also easy to learn and that gives you one more reason to buy it for your kids. The 6.5-inch tire makes travel smooth even on some rough terrains. The cheaper price point for premium quality build makes it the best choice if you are looking to buy a hoverboard for the first time.